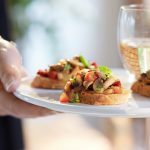 Vol au vents are a classic party hors d’oeuvre and the combination of leeks and mushrooms with flaky puff pastry is irresistible. 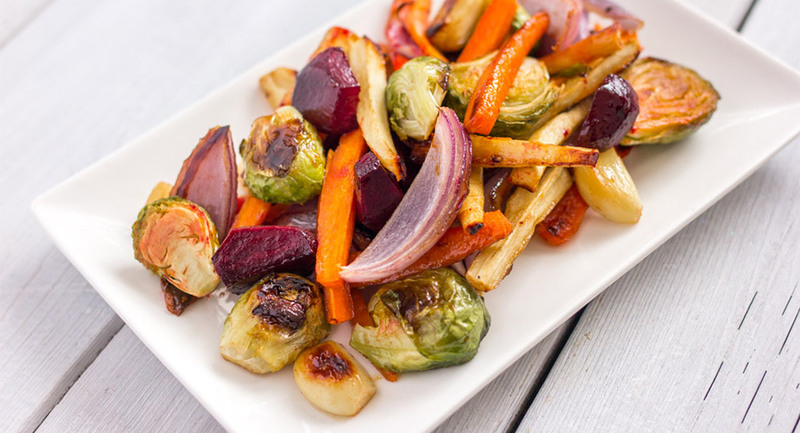 Leeks provide a mellow sweet flavour that shines among the cooked mushrooms. 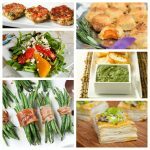 You can serve these as large vol au vents for a light meal, or create smaller sized ones for appetizers or party hor d’oeuvres. Slice leeks and transfer to a large mixing bowl. Fill with water, rinse well and drain. Repeat until the water is clear and all the layers of leek have been cleaned of any remaining silt. Drain and set aside. Place the vol au vent shells on a baking tray prepared with parchment or a silicone baking mat. Set aside. Heat the olive oil in a heavy skillet over medium-high heat. Sauté the leeks until they begin to soften, about 5 minutes. Add the thyme and mushrooms and cook until the juice from the mushrooms has evaporated. Add the stock and increase the heat to high. Bring the leek and mushroom mix to a boil then turn off the heat. Add the cream cheese or goat cheese and stir until the cheese is melted. Use a tablespoon to distribute the mixture evenly between the vol au vent cases. 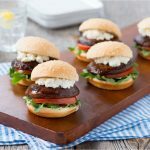 Serve immediately – the larger size can be served with a salad for a light meal, the smaller size is perfect for serving with pre-dinner drinks. 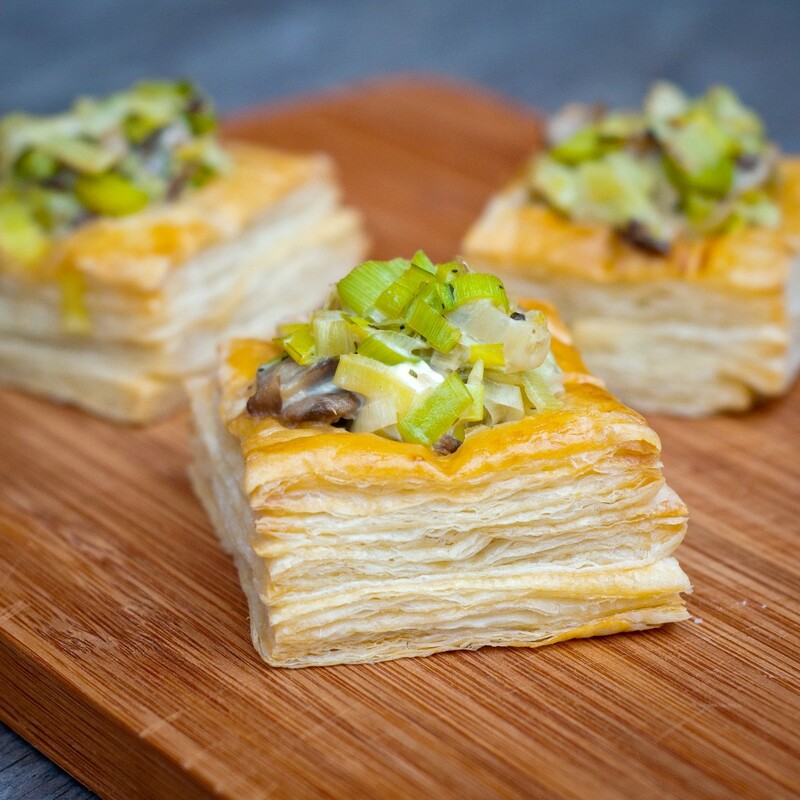 This creamy leek and mushroom vol au vent recipe and photos were developed for producemadesimple.ca by Mardi Michels. Mardi is a full-time teacher of French (and cooking) at an independent boys’ school in Toronto. She blogs about her culinary adventures, near and far, at eat. live. travel. write.